Dates available: Contact us for more details. 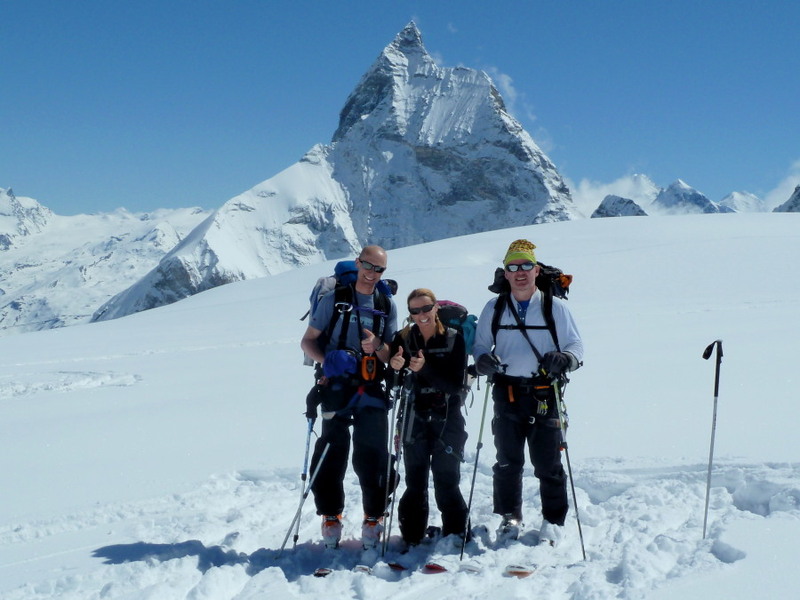 The Most Famous Ski Tour anywhere: the Chamonix to Zermatt Haute Route! This is a long ski tour in high mountain glacier terrain, so good fitness and some previous ski touring experience is needed. The main season is mid march to late April, when the huts are open and glaciers well snow-covered. The Chamonix to Zermatt Haute Route is also possible "out of season" in early March or late February. This is harder work, as the huts aren't guardianed, but much quieter and wilder - a challenge for more experienced ski tourers. Find out more about our "Winter Room Haute Route" here. The itinerary below is the most popular route, but there are lots of possible Haute Route variations. We can be flexible about the exact route depending upon weather and snow conditions at the time (hence we exclude lift and taxi costs from the price as these depend upon route choice). Friday The final day and the longest! Cross 3 high cols then ski to Zermatt with spectacular views of the Matterhorn. 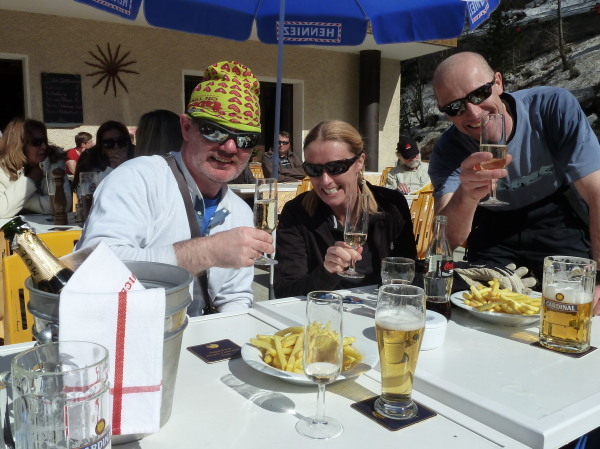 Time for a well earned beer in Zermatt before the trip back to Chamonix. 4 nights half board accommodation (in hut dormitories). The price does not include your own transport to and from Argentiere, lunches, drinks, lift passes or transport from Zermatt to Argentiere/airport at the end of the tour. You'll need to arrange suitable personal insurance. Estimated cable car costs include ski pass for warm up day and shared taxi from Zermatt to Chamonix. You should bring suitable personal skiing equipment including boots, skis, skins, sticks, crampons, harness, helmet (if preferred) and rucksack. We can arrange to hire any of these items for you, please see our gear section for prices. You can download our ski touring kit list here. 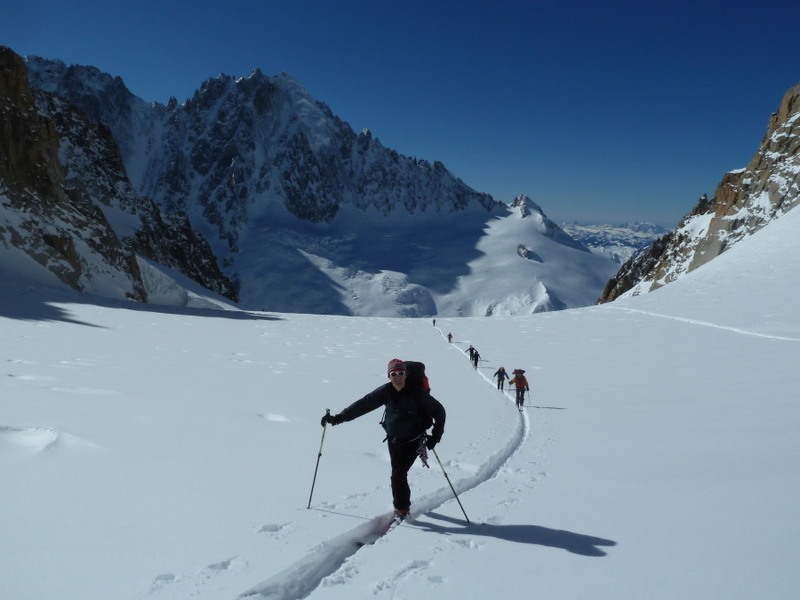 We can run any of our ski tours with British Mountain Guides for private groups by separate arrangement. Please contact us to discuss locations, prices and availability.